In the tech world, it’s quite hard to avoid the buzz around 5G. Since the roll out of its predecessor 5 years ago, entire industries (mobile, telecoms, enterprise, automobile, the list goes on) as well as increasing numbers of consumers have been asking ‘what’s next?’ when it comes to our network infrastructure. And a select few companies have been striving to answer this question. One of those on the forefront of this burgeoning tech is chip giant Qualcomm, and we were privileged enough to hear its latest developments on 5G at its annual Snapdragon Tech Summit event last week. The Summit is the largest mobile press event in the world outside of Mobile World Congress in Barcelona with over 300 attendees from 30 countries present, and this year it was set in no other than Maui, Hawaii. Despite the abundance of palm trees and Mai Tais, this event was not just about style but was also packed full of substance. The launch of Qualcomm’s 5G-ready processor, the Snapdragon 855, as well as news from partners such as OnePlus, EE and Samsung that 5G will be available for commercial use in 2019, means that the next 12 months are set to be a turning point in communications technology. In the real world the potential of this technology is huge; whether its allowing consumers to download a movie in seconds, healthcare practitioners to treat patients remotely in real-time, empowering enterprises to harness new realms of mobile working or bringing the advent of autonomous vehicles, to name just a few! Qualcomm upgrades its top-end smartphone chips every year, and every year we see a speed bump and a smorgasbord of new features, so it should come as no surprise that the Snapdragon 855 is set to do the same in 2019. But there is a difference this time and that difference is 5G. 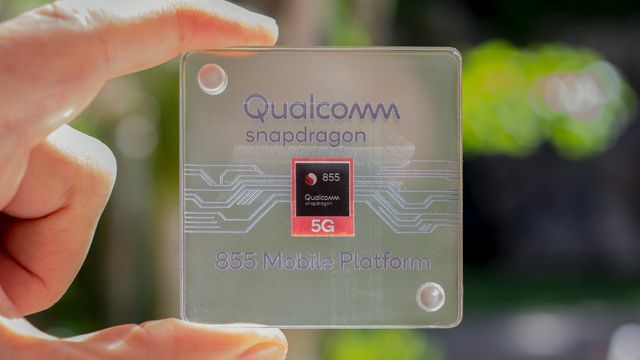 With smartphone manufacturers already confirming that their next flagship smartphones will come with 5G compatibility, courtesy of the Snapdragon 855, 2019 is set to be an exciting time in the smartphone world and the phones at the forefront look likely to be based on Qualcomm's new silicon. Are concept cars holding us back from visualising our autonomous future?